EDGE was appointed by Nottingham Trent Students’ Union to manage the extension to and internal refurbishment of their existing Student Union facility at Nottingham Trent University’s Clifton Campus. The works comprised of a new extension to enhance the social space available to students and to allow the complete facility to be fully accessible throughout. The reconfiguration of the first floor layout included additional social seating areas for students, new office space and meeting rooms which included a feature oriel window over the main entrance. A new mezzanine was constructed above the bar which overlooked the refurbished arena area. The refurbishment of the arena included a new bar and back of house storage, along with updating the social seating areas and incorporation of a new DJ room. The Students’ Union has now been transformed to provide high specification, open plan accommodation which enables students to utilise all area. The site was highly constrained as it was located at the main vehicular and pedestrian entrances to the campus with access needing to be maintained throughout the construction phase. In addition, and as a result of previous extension and alteration projects which had been undertaken over time, there were various challenges uncovered as the building was opened up. 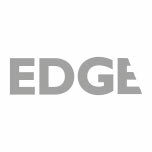 With close management of the contract, EDGE ensured that any variation claims were dealt with in a prompt manner and challenged where appropriate. With this attention to detail EDGE ensured that any additional changes were accommodated without delay to the overall programme and within the original budget parameters. EDGE also managed the communications between the various stakeholders including Employer, Contractor, Tenant and Landlord – coordination of which was vital for the successful management of the project. Regular project reports issued to assist in University board meetings with key stakeholders.